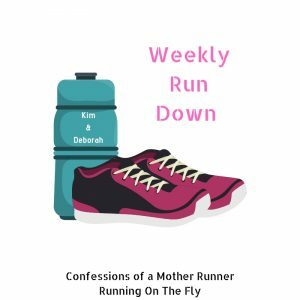 This week wraps up my 4 week challenge with RunBet. Thought I would share a little bit about how RunBet works and my experience participating over the last 4 weeks. 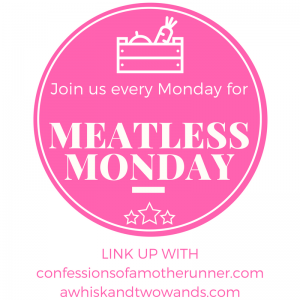 I roped a few of my running friends into joining me because everything is better with friends. Especially running. RunBet is basically an app based game (free app) that encourages you to run (or walk) consistently. Each game has it’s own rules on how many runs per week are required and for how long (ie. 30 min). 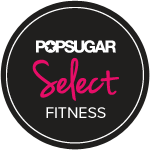 You can choose a game that fits your current lifestyle or fitness level. Games start each week and vary in length from four to six to 8 weeks. My game required 4 runs per week with a 30 minute or more duration at under an 18 minute per mile pace for 4 weeks. Because I normally run 3 days per week, I would be walking the 4th run. As long as my walk was under an 18 minute mile it would count. At the start of each game, each player has to “bet” a set amount on themselves. My game had a $50 bet. As long as you complete the required number of runs per week, you get all of your money back. If someone else in your game drops out, their original $50 is split between the remaining players. Well, I am no quitter so this sounded like a fantastic January challenge for me. Download the RunBet app and find a game that fits your schedule and frequency of runs and or walks. Bet on yourself to achieve the given number of runs required each week. Run on a treadmill or outdoors (runs must sync from Garmin, Strava or Runkeeper directly to RunBet to count). Treadmill runs can be uploaded manually if you follow the exact instructions for doing so. Hit all your goals in the required amount of time and you win your own money back. Once your game starts, you will see a game board with all of the current players. You can how many runs the others have done and where you fall in the game. It does not matter how many miles you run or how fast you run. It’s not about pace or distance only meeting the required number of runs. So far, all the players in my game are still “in the game”. Getting out for the 3 required runs is usually a no brainer for me. This month did pose a few weather challenges but I was really motivated to get out there and get it done. Having 3 friends in my game made things so much more fun. We also began walking together for our 4th “run”. Walking outside for 3-4 miles on cold January days is not something that I would have done on my own had it not been for the challenge. Some weeks we even ended up walking twice. I have come to really enjoy the afternoon walks and I plan to keep them up after the challenge ends this weekend. I found RunBet very user friendly and easy to navigate and I plan to reinvest my bet in another game next week and keep it up! Thanks to Janice (Salads 4 lunch) for inviting me to join. Have you tried RunBet or StepBet? What was your experience? I’m thinking of trying RunBet sometime this year so thanks so much for the review. I’ve done a few StepBet games and i love that they keep me accountable, but sometimes I hate that I have to get x number of steps in daily. I think that sounds super motivating. I’ve seen diet bet (I think that’s what it’s called) to help motivate people to lose weight. I like this much better. Out of curiosity, what happens if there’s an emergency or you get sick — do you just lose your money then? The dogs keep us walking, and since there are a lot of days lately where it’s either too cold/too snowy to walk them, I’ve been putting my treadmill to good use with walking too. Sounds like you had fun with the challenge, and extra points for getting in those walks outside! I’ve heard of stepbet but I didn’t know they also had runbet! That’s a really cool way to hold yourself and your friends accountable. I’d heard of Stepbet but never did Runbet, this sounds so cool! I’ll have to check it out. Good to hear you’d recommend it! 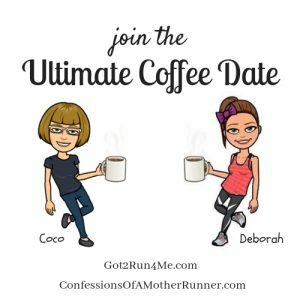 Janelle @ Run With No Regrets recently posted…Running Club Roundup Returns! Thanks for the detailed review! I’ve heard of the app a couple times and was wondering how it all worked. it does seem like a fun way and a good incentive to get your runs in! I’m just not so sure I would want to risk $50 in case something happened and I DIDN’T make it, you know?? Wow! This sounds like a fun way to get motivated, to stay motivated to run! I have never heard of this before. I’ve never tried it but I love the idea of it. People are much more likely to keep at it if they are trying to get their money back or make more money. What a fun app and a great way to motivate people! Thanks for sharing with your experience with it! I have not tried this but it looks and sounds like a lot of fun. Great motivation for sure. It has been great motivation to get out there when I did not want to! Sounds intriguing! Like you, I usually do three runs each week (in winter), so the fourth would be a bonus run or a walk (and we all know how much I enjoy walking LOL). It sounds easy to navigate, but I know myself…and I usually dread the input/data aspect. I should give this a look, though. it would be a great motivator doing it with friends. I’ve done StepBet and won some money! I will have a review next month. I don’t know why I haven’t done RunBet since I’ve been keeping up with my runs (inside and outside). Step bet made me a little nervous! I liked the way that runbet was set up for me and allows me to do one walk per week as well. No one in our group dropped out but that’s ok! This sounds like a great way to stay accountable! What a cool idea. Anything that makes exercising fun is super helpful in my book! Well it syncs from Garmin so I guess if you already use that it would be the same thing. I’m not a fan of DietBet, just because I’m not a scale and weigh-in kind of girl, but THIS??? I could do THIS! And StepBet is eh for me because I don’t hit all my steps every day, even if my totals average out. I am downloading this as we speak. This is really cool. I’m wondering who I could get to do this! This sounds great and like so much fun! I had not heard of it before, but will definitely check it out!! oops, had this tab open and never replied.